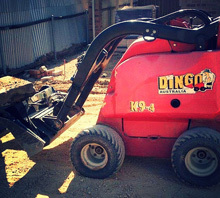 Construction needs define the quality and by the name of quality Earth Diggers simply knows the best of the lot. Equipped with high standard of tools and machines our company only aims for rendering superior quality Earth Moving Woodville services. Professional setup is made with a strong base of experienced service providers who handles the task of earth digging with utmost professionalism. The equipment that we have in our store are able to work even under unfavourable conditions. High technology and advanced engineering has made it possible to bring in modern instruments and use it judicially at the need. Timely delivery of the work is our another part of the service that makes us popular all over Australia.